Gosport & Fareham Inshore Rescue Service had a busy Bank Holiday weekend of rescues – topped off by a training exercise with the Coastguard’s helicopter. Gosport Independent lifeboat crews were launched three times to assist vessels in distress over the weekend, then helped Coastguard 104 – the rescue helicopter based at Daedalus in Lee-on-the-Solent – with some winch practice. The training exercise, which took place off Browndown on Monday, lasted around 15 minutes and saw a winchmen lowered onto Gosport lifeboat and then a GAFIRS crew member plucked out of the water by the helicopter. 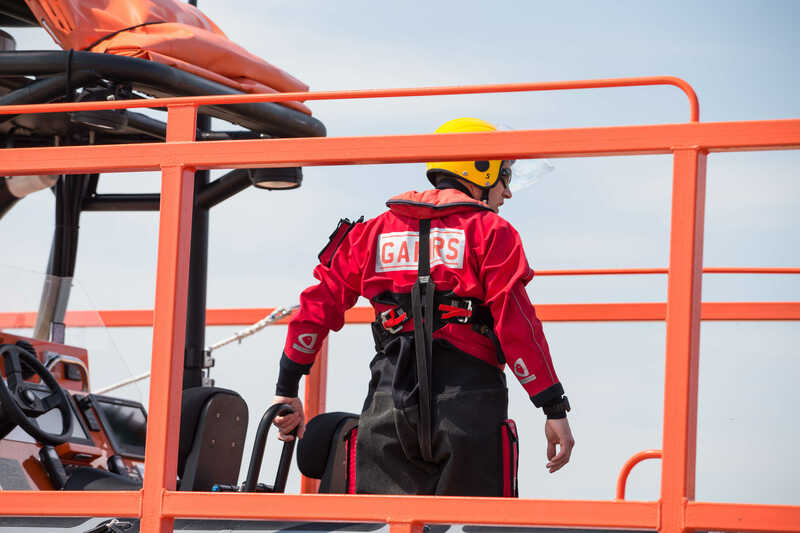 GAFIRS’ busy bank holiday started on Saturday lunchtime when they were tasked to assist a young male who had suffered a fit on board a yacht in Portsmouth Harbour. Working alongside the police launch Sir Humphrey Gale, GAFIRS crewman and trainee paramedic Jake Robinson was transferred onto the police boat to assess the casualty. After assessment by Mr Robinson, the young man was transferred into the care of South Central Ambulance Service at Camber Dock. On Sunday GAFIRS assisted with two more incidents. The first saw GAFIRS working alongside Bembridge lifeboat to tow a 30ft Bavaria yacht which had got into difficulties near Horse Sand Fort in The Solent. GAFIRS took over the tow – which had four persons on board – from Bembridge lifeboat and took it into Hornet Sailing Club, Portsmouth Harbour. In total the operation lasted an hour-and-a-half. Then on Sunday afternoon, GAFIRS assisted with a multi-agency rescue operation after two jet skis collided off Calshot. A 12-year-old was taken to Southampton General Hospital by air ambulance.